Accounting Mistakes For Small Businesses – 3 Top Tips For You On How To Avoid Them! Accounting Mistakes For Small Businesses - 3 Top Tips For You On How To Avoid Them! Accounting and making accounting mistakes are one of the biggest challenges for small business owners. Many cite this and dealing with taxation and bureaucracy as the worst part of owning a business. There are many reasons for keeping your books in order from knowing your numbers to satisfying an audit, that the reasons for being organised and maintaining good accounting records are obvious to any successful business owner. Below are our top three accounting mistakes we see small businesses make, and our top tip each time for avoiding them. 1. Using a shoebox to file receipts. If your business receipts are piling up in shoeboxes or plastic bags, then it is high time you started a new way of doing things. Take 15 minutes a week to sort things out, and make notes on the receipts as necessary. That way when you do your accounts, each month / quarter / year you will not have to remember the story. Keeping tabs on your expenses is crucial to being on top of your cash-flow. 2. Mingling personal and business accounts. If you are not already using a separate account for business and personal spending, then it is time to start now! It stops all sorts of audit questions, will make the TaxMan happier, and reduces your work with accounting systems like Xero. Ask your bank manager about potential fees (there are many great deals for new business bank accounts) and remember to sort our any direct debits and standing orders when you make the switch. 3. Not learning the difference between profits and cash flow. Cash flow is the amount of money being transferred in and out of your bank account from sales, purchases, expenses and payroll. Profit is what remains from sales revenue after you have subtracted all your business costs and expenses, including depreciation. Keeping track of what money comes in versus what is being spent, gives you a clear picture of the real financial health of your business absent all the normal accounting estimates. Again Xero will really help you with improving your cash flow - see our blog post HERE. 4. Avoiding doing your bank reconciliation. Modern systems like Xero handle this very effectively with the electronic outputs available from good on-line banking systems. This includes the ability to upload formatted spreadsheets or use direct electronic feeds from the bank into the accounting system. This allows the reconciliation to be more accurate and timely. Not spending a few hours a week reconciling all these transactions and making any accounting postings as necessary you will soon forget what is going on and not get on top of crucial entries as time goes by. 5. Not learning how to use your accounting software properly. 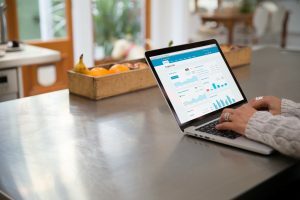 Keeping your finger on the pulse of what Xero and other accounting systems has to offer is a serious mistake we see all the time. These are constantly being updated with new reports, functionality and powerful add-ons all designed to make your business life easier, more accurate and more productive. Why can you not spend a few minutes a month keeping on top of what they are doing. Worse still, business owners spend no time exploring the tools at their disposal, and don't even use the built-in functionality to say post VAT returns online saving them time, making mistakes and best of all keeping the Taxman happy? How does XERO stop you making accounting mistakes? We are a Xero Partner. That means we have teamed up with the accounting software provider called Xero that offer a cloud-based solution for owner-managed businesses that we really love and recommend to everyone we meet. We think it has lots of features to help improve any business's productivity, and stop you making the silly accounting mistakes above and many more. See our full list of benefits which even after it was produced a few months ago, is already out of date and looking like we need to add many more! Watch out for more top accounting tips from us in following blog posts to make you more accurate and save you time. Try all the top tips above to improve your bookkeeping. You won't be disappointed. They are very easy to do, and you will get even more benefit and generate more cash from our favourite accounting tool - Xero. If you know of any other tips for avoiding or examples of stupid accounting mistakes that can be shared with our readers then let us know via the comments or through LinkedIn.